Al Berto (2017) | Khaanflix | Watch Latest Box-Office Movies Online for Free! Portugal, 1975. A time of rough changes. A young gay artist trapped in a small seaside town ran by communist winds. 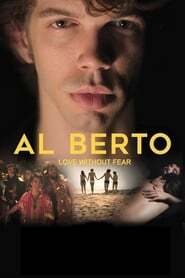 Al Berto, the writer, embodies an entire moving generation. He and his friends exude youth, eccentricity and hope for the future - but right after the fall of Portugal's dictatorship system, the country is not yet ready for his love story.